World Health Organization (WHO) in 2016 revealed that the number of people with obesity worldwide have tripled since 1975. It is mentioned 36 percent adults aged 18 and over were overweight and 13 percent others were obese. The growing number of overweight and obese individuals could be owing to the consumption of energy-dense foods that are high in fat and cholesterol as well as physical inactivity due to increasingly workload, changing modes of transportation, and increasing urbanisation. Another study from NCBI on Work, Obesity, and Occupational Safety and Health also claimed that there is a relation between obesity and overweight in part of work conditions. The study mentioned that “there is increasing evidence that obesity and overweight might be related, in part, to adverse work conditions.” Due to low-control environments and long work hours, employees will be more likely to suffer from vibration-induced injury and certain occupational musculoskeletal disorders. The NCBI study also said that “employed adults spend more than quarter of their lives at work. So the pressure and demands of work might affect their eating habits and activity patterns which might lead to overweight and obesity.” That being said, if your employees are suffering from fatness, it will affect their health which then could have bad impact on their productivity and performance at work. And if it is a chronic obesity and overweight, they will likely to take more sick leave. Stanford Health Care agrees that obesity is a serious, chronic disease that has a negative effect on many system in individual’s body including heart disease, type 2 diabetes, bone and joint disease and more. Then, how do we fight obesity in workplace? There are two alternative can be done, either artificially or alternatively. Which one do you think is the best solution of obesity and overweight? Artificially sweetened foods and drinks have become popular due to the growing obesity crisis. Yet, it also is a topic highly debated. Artificial sweeteners is a sweet taste of foods and drinks with no calories. The average 12-ounce can of sugar-sweetened soda delivers about 150 calories, the same amount of diet soda – zero calories. Thus, it can be a good answer for weight loss. Food and Drug Administration (FDA) approved that there are five artificial sweeteners: saccharin, acesulfame, aspartame, neotame, and sucralose. There are also one natural low-calorie sweetener, stevia. On the other hand, Dr. David Ludwig, an obesity and weight-loss specialist at Harvard-affiliated Boston Children’s Hospital, said that people might replace their loss of calories through other resources. For example, one might say, “I’m drinking diet soda, so it’s okay to have cake.” Even though you have diet soda, this does not mean eating more sweets will decrease the effect of high-fructose you consume which will result on offsetting weight loss or health benefits. Dr. Ludwig also mentioned that the use of artificial sweeteners routinely can affect how we taste foods. We can start find less intensely sweet foods, such as fruit, less appealing and unsweet foods, such as vegetables, downright unpalatable. More research suggest that artificial sweeteners might prevent us from associating sweetness with calorie intake. However, we might crave more sweets and tend to choose sweet food over nutritious one. As a result, we will gain more weight instead of losing it. Not only that, consuming too much artificial sweeteners might give side effects such as headaches and migraines to shrunken thymus glands, impairment of liver and kidney function, and mood disorder. According to medical dictionary, alternative sweetener is “nutrition any of group of carbohydrates such as fructose, sorbitol and xylitol, which are of potential use as replacements for the usual dietary sugars.” Dr. Axe said that natural sweeteners are more healthy and tasty than artificial sweeteners, high fructose corn syrup, and refined sugar. According to a study of the Journal of the American Dietetic Association as cited in Dr.Axe, alternative sweeteners including blackstrap molasses, maple syrup and honey can increase antioxidant intake. By replacing 130 grams a day of refined sugars with healthy sugar substitutes, it can increase the amount of antioxidant you consume each day. It is similar to that consuming berries and nuts. According to Dr. Axe, here are natural sweeteners you should provide in office if you want to go against obesity and help your employees stay healthy. Lastly, increasing employee awareness about the danger of obesity and overweight is important. It can help fight obesity as well. However, to acknowledge your employees, you should first acknowledge yourself regarding this matter. Therefore, it is important to know various sweeteners you should provide in office. 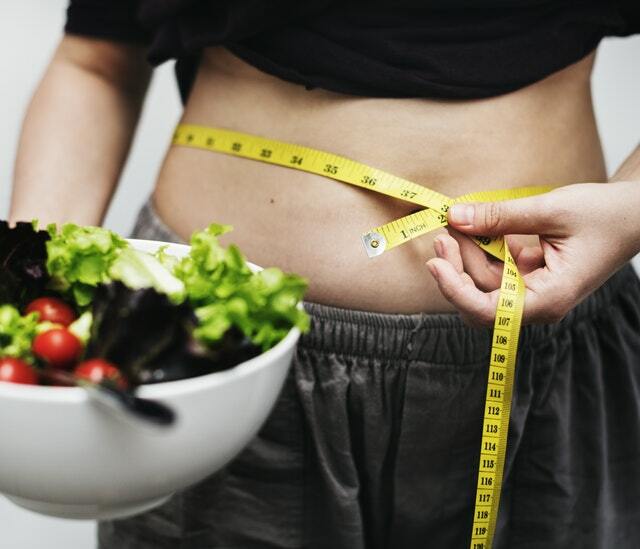 Moreover, providing healthy environment and wellness program can also be the best ways to fight employee’s obesity and any health damages that might follow.